Following on from our previous reports in May, Seagate has launched the worlds first single 3TB drive, although this version is stuck in an external case. Dubbed the FreeAgent GoFlex Desk external hard disk, it features USB2, USB3 or FireWire 800, depending on the transfer speed you need and available connections. "Consumer capacity demands are quickly out-pacing the needs of business as people continue to collect high-definition videos, photos and music," said Seagate's Dave Mosley in an official announcement. "Seagate has a tradition of designing products that break into new storage frontiers to meet customer requirements and the 3TB GoFlex Desk external drive is no exception – delivering the highest-capacity storage solution available today." Although it's possible to create your own 3TB (or larger) external disk using an enclosure or barebones NAS, the convenience of having a ready-made USB disk is what's important if you have lots of videos, photos, music and documents to back up. With the increasing capacities of hard disks inside PCs and laptops, you could quickly fill a 3TB by backing up just one PC and a laptop. 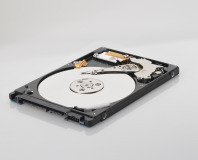 Seagate claims the drive has been 'specially engineered' to exceed the 2.1TB limitation in Windows. At just 158x124x44mm the new drive is also considerably smaller than a two-bay NAS or twin-disk product. The downside is that it's also sporting a $250 RRP, which, when put up against either 3x1TB or 2x2TB drives plus enclosure, is asking a lot. 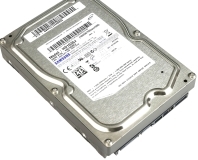 No word yet on internal 3TB SATA drives either. Do you need one? Let us know your thoughts in the forums. 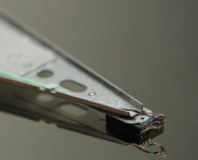 Seagate has invested in DensBits to create a new family of consumer- and enterprise-grade SSD products.